It’s official, the sequel is here to stay. OK, so it’s really no great revelation. There were some signs, however, that audiences were starting to get a little bored of shameless cash-ins, and were looking for something a little bit different. This week’s box office, unfortunately, told a slightly different story. Thor won the weekend with an admirable $65M plus, however that was not the big box office story. 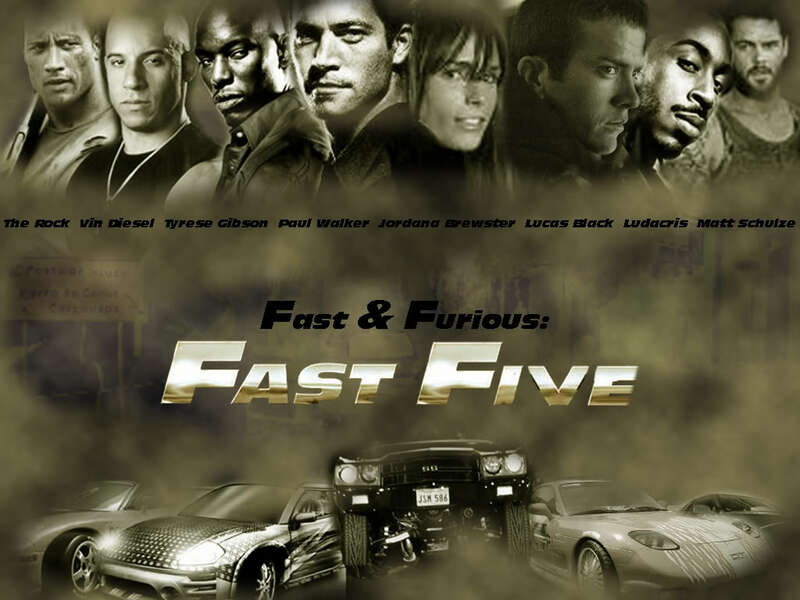 In second place was Fast and Furious 5, with a $32M haul. It may have been beaten into second place this weekend, but this added to the total gross it had already accumulated means the sequel to a sequel to a sequel to a sequel has made a massive achievement. It has become this year’s highest grossing film so far. When Avatar became both the highest grossing film of 2009, and subsequently all time, I had hope that it might bring in a new era of successful, original movies not tied to a series. With Inception tipped to make big money in 2010, there was some basis for this too. In the end, unfortunately, four out of the top five grossing films of 2010 turned out to be sequels, but I was not disheartened. Rome wasn’t built in a day, and with the gestation period of most projects running at least a year, I felt we could still witness a new dawn of great original projects. This year so far, things have looked good. Before this past weekend, none of the ten highest grossing movies so far were sequels. In fact, few were even based around any existing movie franchises. Then came the success of Fast Five. When a sequel makes huge amounts of money, it is to be expected. Sequels are made for that very reason, building on the popularity of an initial movie that was financially successful, and it is usually when you get into the third movie that boredom or poor quality control mean the audience has become disinterested, and the law of diminishing returns comes in. This, however, is the fifth movie in a series. Lazy journalism prevents me from having the facts in front of me, but I’m pretty sure that it is a rare occurrence for a fifth movie to be so successful. The team behind the latest Fast and Furious movie should be given some credit however. They brought back the two main cast members from the original film and the fourth in the series, added a bit of extra muscle in the form of Dwayne ‘The Rock’ Johnson, and put together an entertaining movie. I haven’t seen it myself, but word is it is one of the best in the series, the best according to many. To be able to pull off great aggregate review scores and rake in a large pile of cash with any movie with the word 5 in the title is impressive, doubly so when it is a franchise that many consider to be all trash and flash and no substance. So Fast Five knocked Rango off of the top spot, but what about the prospects for the rest of 2011? It’s a little churlish to talk of box office figures before the summer begins in earnest, as that is when the money really starts to roll in. Which are the films likely to be topping the list come Autumn? With a record-breaking number of sequels due for release this year, 27 compared to last year’s 24, the sequels have got a better chance than ever to top the charts. To look at the list of movies which aren’t sequels but are likely to draw big numbers is not a reassuring experience. There are certainly some that will make money, like this weekend’s winner Thor and next months Green Lantern and Captain America. But whilst these movies have a good chance at equalling some of the great numbers of past superhero movies like Spider-Man and Iron Man, they are certainly not ‘original’ movies. Based on well established comic-book franchises, there will be little in them to genuinely surprise the comic book fans, and even the casual viewer will have some knowledge of the origins stories and characters involved. Of the sequels, Pirates of the Caribbean: On Stranger Tides and Transformers: Dark of the Moon are the ones likely to make most money, and are also probably the most likely to top the charts for the year of 2011. Both have a great pedigree financially, as part of billion dollar movie franchises, though ironically both come from film series that have been lambasted for quality. The first Transformers movie and the original Pirates of the Caribbean, The Curse of the Black Pearl, were both very popular, and liked by a large percentage of their audiences. It was the follow-ups that really dragged their names into the dirt, all guilty of being overlong and overblown, with little thought given to compelling storytelling and cohesive plot building. Come the end of the summer, I think it will probably be the sequels that have the financial edge. It is currently unknown if the likes of Captain America and Green Lantern can draw in the same level of audience as Batman and Spider-man, being more second tier superheroes in their respective universes. Thor has started off well, but its opening is nowhere near that of its Avengers stablemate Iron Man. The sheer number of comic-book movies this summer, 4 including X-Men: First Class, itself a prequel of sorts, could mean shared spoils. Pirates and Transformers are the projects with the marketing budgets wedged up their behinds, and will probably be the summer’s two biggest winners. There is also, of course, the final Harry Potter, which has the potential to top them all, and goes three better than Fast Five by being the eighth movie in the series. If this is the case, and the end of year top ten is once again top-heavy with follow-ups to successful films of years passed, there will be no reason for studios to look beyond these guaranteed money makers. As long as people are willing to pay more to see sequels than they are original films, they will continue to dominate the summer schedules. If you truly hate sequels, you have my condolences. It is the original movies that are rapidly diminishing. This entry was posted in Articles, Box Office, News and tagged 2011, blockbuster, box office, fast 5, fast and furious 5, record, summer, thor. Bookmark the permalink.